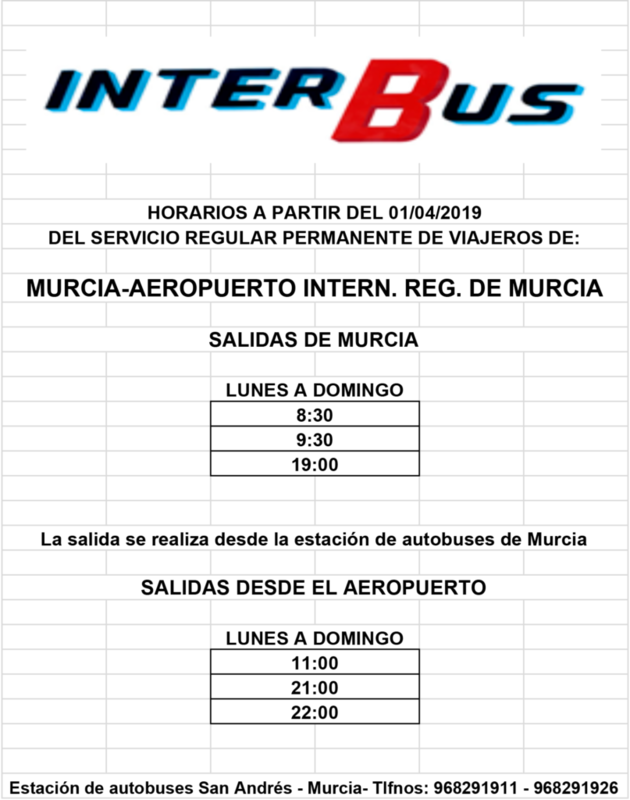 There will be 4 bus services linking the new airport to the rest of the region of Murcia are with Interbus. Between the first 4 bus routes, there will be 48 services each week. There is a 5th route planned for later in the season. As soon as more info comes out we will publish it here. 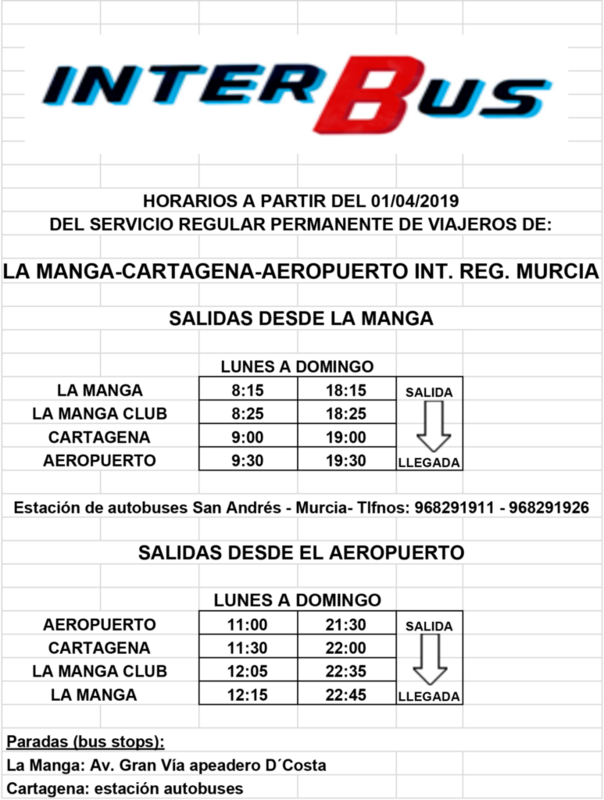 There is a larger network of bus routes available in Murcia on the Interbus and Latbus and other destinations can be reached via Murcia or Cartagena main bus stations. The below routes are the direct routes serviced by the airport. 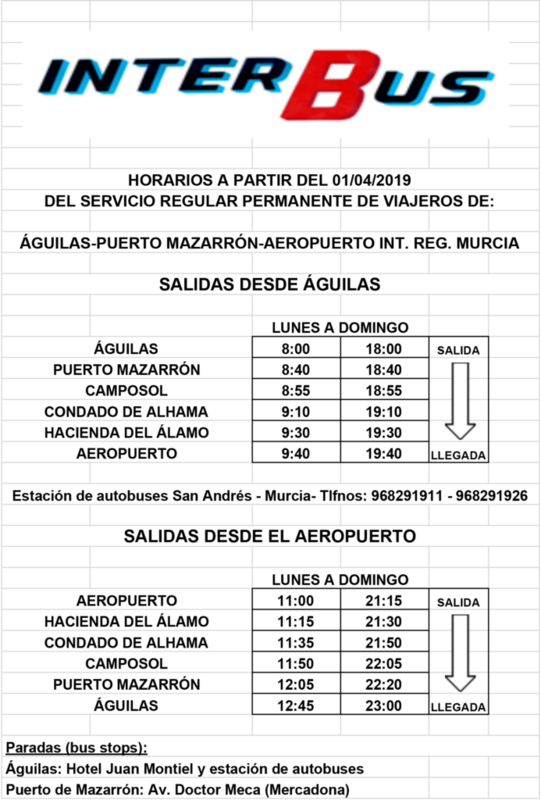 In order to provide a cost-effective service, fares have already been set and are also listed below. Click on each timetable to download the pdf. 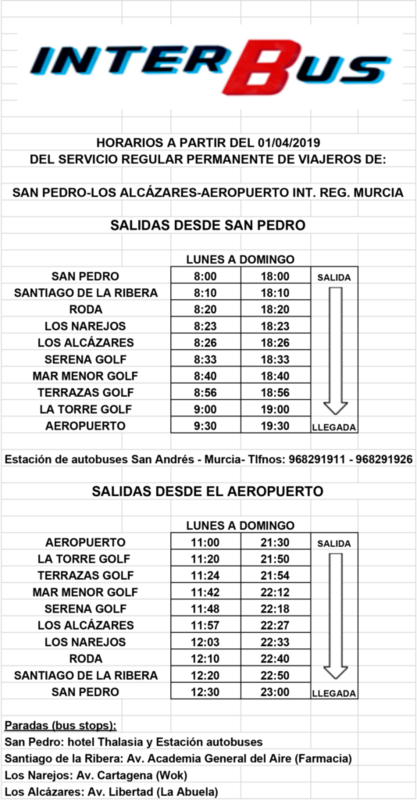 Bus route: Airport, San Javier: Av. Aviacion Espanola (Mail Boxes etc. ), San Javier: Av. Mar Menor (at the Cano supermarket), La Ribera: Av. Academia General del Aire (pharmacy), San Pedro del Pinatar bus station. 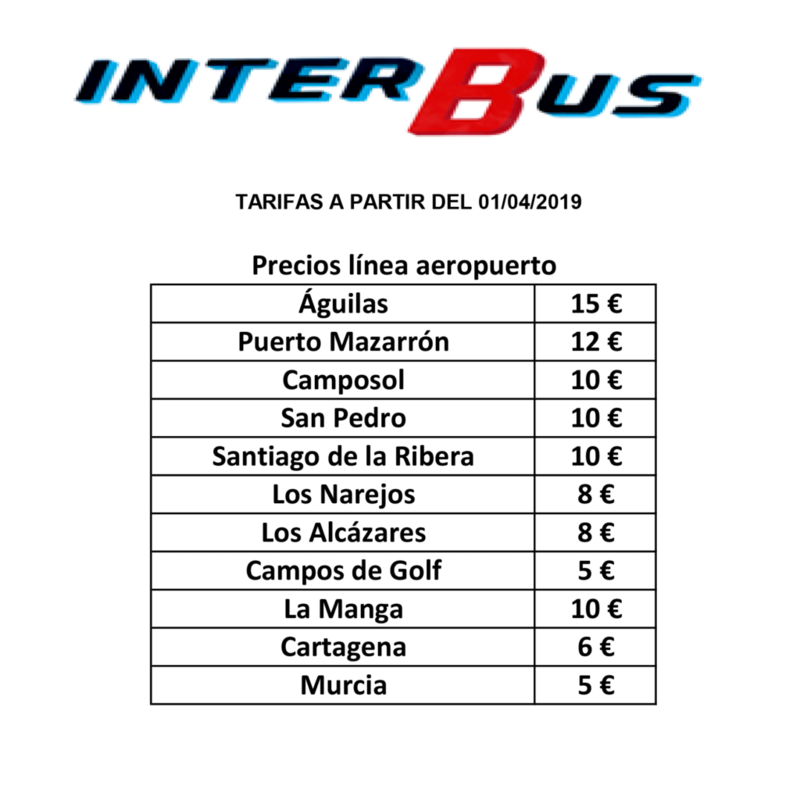 This is the bus route to take to get you from Corvera Murcia airport to the old San Javier airport as this bus will stop on Avenida Mar Menor in Santiago de la Ribera which is 5 mins drive from San Javier airport. 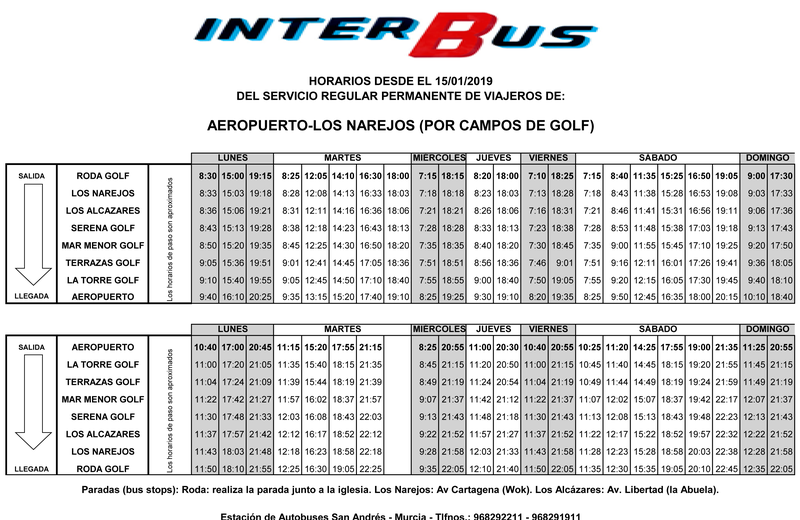 Bus route: Airport to La Torre Golf (Roldán), Terrazas Golf, Mar Menor Golf (Torre Pacheco), Serena Golf, Los Alcazares, Los Narejos, Roda Golf. The regional Minister for Development and Infrastructure has acknowledged that there will be a period of getting to know the demand and will respond appropriately. For example, should there be demand for bus routes to take in specific larger urbanisations.